Gustav Mahler composed his Symphony No. 5 in the summers of 1901 and 1902 in Maiernigg on the Wörthersee, a beautiful alpine lake in southern Austria. In 1899, the composer had purchased land there and by 1901 a lakeside villa, built to the composer’s specifications, was ready for occupation. He also rented a wooded hill above the villa, upon which he built a small cottage and to there Mahler would retire to compose in peace and quiet. 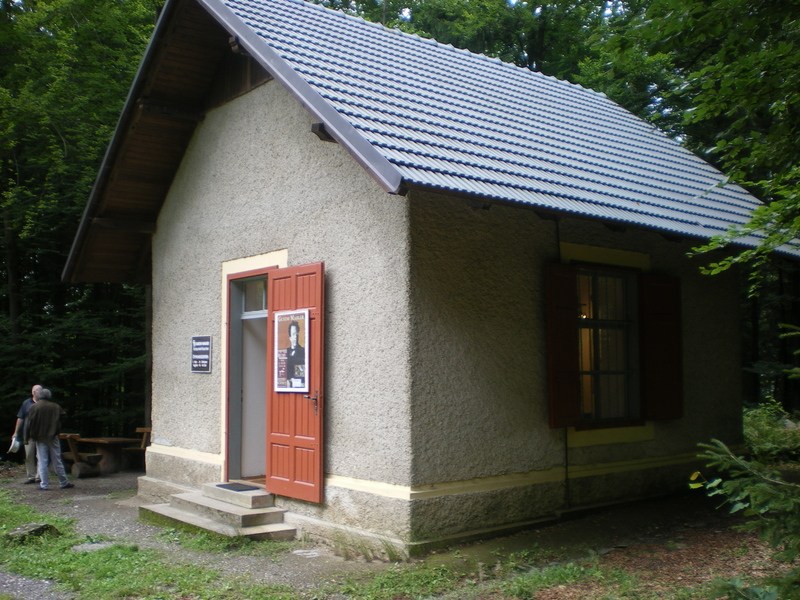 The cottage still stands today, the home of a Mahler museum. It’s hard to imagine this symphony – dark, turbulent, gigantic, in every way Mahlerian – coming out of that quaint cottage. The joyful, bucolic vision of heaven that ends the Fourth Symphony is more like it. But the Fifth was a departure for Mahler in several ways. It was his first symphony in 15 years in which he didn’t use the human voice. The musical substance is less vocal, more purely instrumental, in design as well, Mahler leaving behind the “Wunderhorn” folk songs that had inspired his earlier symphonies. Further, the Fifth coincides with the composer’s new interest in counterpoint, fueled, at least in part, by his recent acquisition of the complete works of Bach. The orchestration of his new symphony gave Mahler considerable trouble. He didn’t quite know how to couch his new musical language, specifically what Bruno Walter called the “intensified polyphony.” Clarity was the challenge. Alma scolded him for his heavy use of percussion, and Walter later said that even at the premiere the scoring remained a problem: “The instrumentation did not succeed in bringing out clearly the complicated contrapuntal fabric of the parts.” Mahler would continue to tinker with the orchestration of the Fifth for many years, perhaps as late as 1909. He worried about the reception that his symphony would receive as well – it would be wildly mixed – and took the precaution of personally inviting a sympathetic critic to the premiere in Cologne, where he didn’t trust the press. What’s more, before the Cologne premiere (in 1904) Mahler led the Vienna Philharmonic in two private rehearsals of the Fifth, after which he made many changes. Harmonically, the Fifth traces a path, over its five movements, from C-sharp minor to D major. Mahler did not want the key to appear on the cover page of the score. The five movements are further divided into three large parts, the first two movements becoming Part I, the Scherzo (the longest single movement) Part II, and the Adagietto and Finale Part III. Mahler left no explicit program for the work, and probably didn’t have one, but the Fifth begins in darkness and ends in triumph (with many stops in between), much like another famous Fifth. It even begins with the same rhythm as Beethoven’s – three shorts and a long. As to the individual movements, the listener will need little prompting: Mahler’s purpose, abundant invention and dramatic force are clear, and carry the day. The first movement, this being Mahler, is a funeral march (marked “With measured step. Strict. Like a cortege.”) In one of the great beginnings in the entire symphonic literature, a lone trumpet intones an aching fanfare, around which the entire orchestra gathers with thunderous woe. This is just his first paragraph. The tramp of the funeral procession is established and is rarely altogether absent, even in contrasting episodes. The second movement – marked “With greatest vehemence” – is like the second stage of grief. It shares some of its thematic material with the first, but the tone is angrier, more volatile. If the first movement was the physical depiction of a funeral, here is the inner turmoil. Towards the end, the brass breaks forth in a major-keyed chorale – a vision of things to come, not an arrival, yet. The Scherzo, in D major, was the first movement that Mahler wrote, and rustic like the surroundings in which he composed it. He wanted it played “vigorously,” but “not too fast.” The movement combines the ländler (an Austrian folk dance in 3/4 time) and the waltz, but the new contrapuntal texture clouds their simplicity, as do nostalgic moods. A solo horn, in keeping with the countrified air, plays a prominent part, as does the entire horn section. The Adagietto (meaning “brief” Adagio), for harp and strings, is probably the single most famous piece by Mahler. We have learned to hear it wrong, though, as the saddest of all sad songs. Leonard Bernstein played it at JFK’s funeral; Luchino Visconti used it in his film “Death in Venice.” Evidence more than suggests, however, that it’s a love letter to Alma, and listened to in that frame of mind, it is almost unbearably beautiful. Ludwig Karpath, an influential music critic in Vienna, who snuck into the first run-through of the Fifth, caught on right away. In a letter written the same day, he called the Adagietto, “One of the most beautiful things I have ever heard in my life,” and remarked on the “tender intimacy” of the melody, and the “sweetness, exaltation and nostalgia” of the piece. The Finale, which follows without pause, is a marvel of invention and exuberance, a riot of counterpoint unleashed. Commentators have heard jubilation and comedy here, even, as it builds and builds, “laughter” at the end. Alma’s theme from the Adagietto rushes by amid the din; that brass chorale from the second movement returns, this time completely victorious. He must have eventually got the orchestration right, for what we have is a tour de force of orchestral power and agility. It is Mahler at his giddiest.